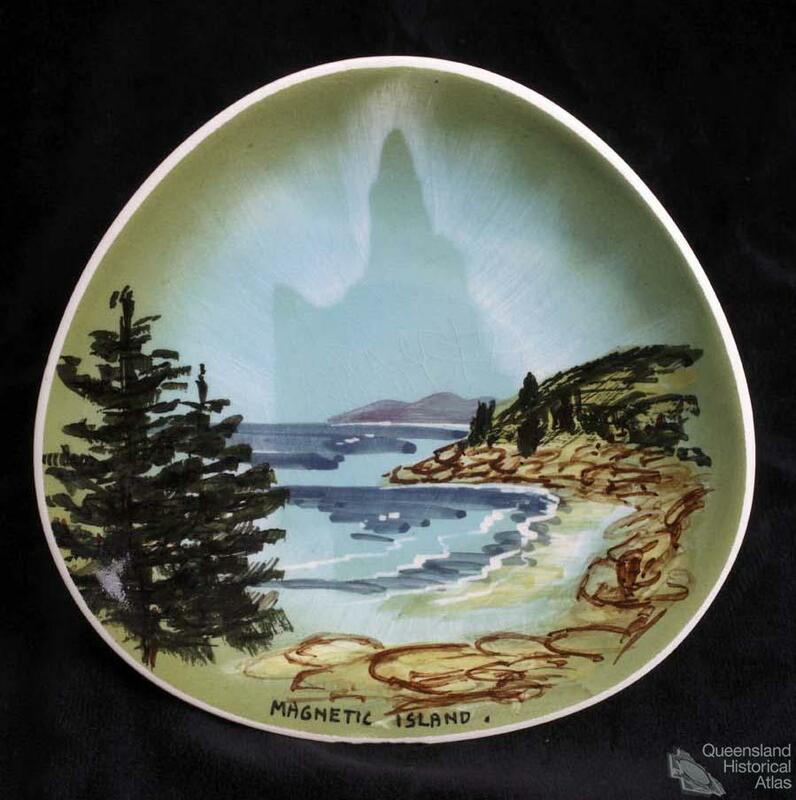 Islands are an integral part of how Queensland is imagined, perceived and portrayed. While islands hold a certain universal appeal, the tropical locality and density of islands along the Queensland coast contributes to a distinctive landscape. Around the world, islands share histories of incarceration – of the criminal, the diseased and outcast; plunder and exploitation – of human and natural resources; and romantic imagining – of solitary lighthouse keepers, shipwreck survivors and beachcombers. Islands serve as the scientific laboratories of social and biological investigation and experimentation. They are the refuge of the recluse and popular locations for holidaymakers and tourists. From Rottnest Island in Western Australia, Bruny Island south of Hobart and the Moreton Bay Islands near Brisbane; offshore islands offer Australian capital city dwellers an escape from urban life. These island experiences are shared around the country and are fairly typical of Australian holidays elsewhere along the coast. Beyond these shared experiences, Queensland islands stand apart. The islands of the Queensland are characterised by a geography, density and cultural history unparalleled in other regions of the country. These geographic and cultural landscapes enjoy the iconic status of romantic and idealised destinations. Queensland lays claim to a string of islands along the length of its coast. 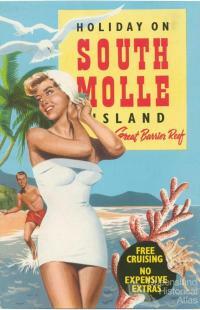 The islands are more numerous and diverse than in other parts of Australia. 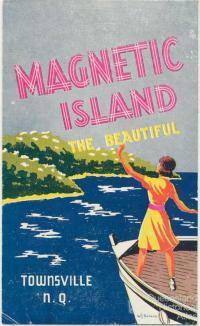 The gulf islands are overshadowed by their more famous easterly counterparts. Enriched by the Great Barrier Reef, continental islands and coral cays stretch two thousand kilometres along the east coast. At the northern end, the islands of the Torres Strait form stepping stones to Australia’s nearest island neighbour, Papua New Guinea. Queensland further boasts the largest sand island in the world; Fraser Island is a unique phenomenon of extraordinary dunes, coloured sands, perched lakes, rainforest and a population of wild dingoes. Queensland islands span both tropical and subtropical climates with characteristic vegetation. 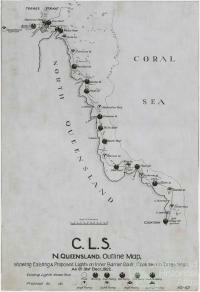 But biogeography is only one aspect of what makes Queensland islands distinctive. 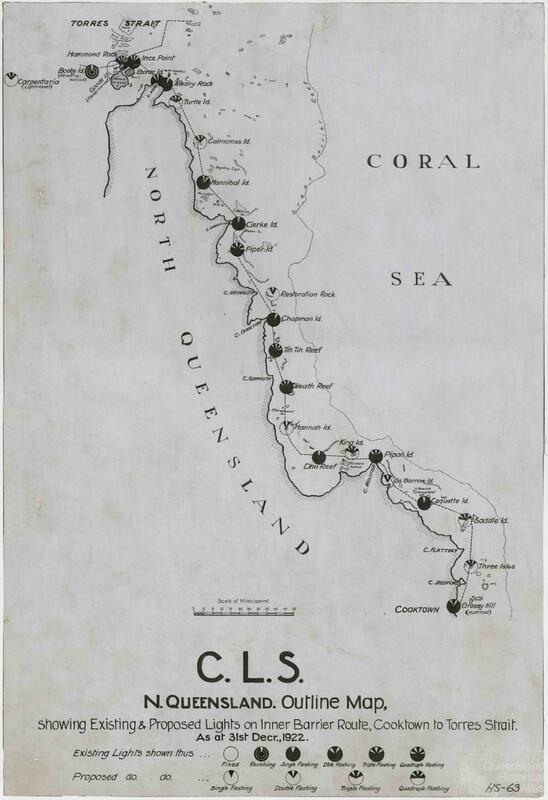 Many early accounts of the Great Barrier Reef stress the difference between continental islands and coral cays. Continental islands are the high points of the submerged continental shelf and are characterised by hard geology, steep hills and rugged bush. In contrast coral cays are formed through the accumulation of coral debris and sands, and a softer vegetation of casuarinas and pisonias. Coral cays are regarded as more authentic reef islands and more fitting for the tropical imagining. From the earliest records of European explorers islands have characterised the Queensland coast. And, in turn, the isle-jewelled waters are synonymous with legendary navigators. The navigational prowess of Captain James Cook is highlighted by his ability to extricate the Endeavour from the complexity of islands and shoals, recover from a near disastrous wrecking and eventually escape through the treacherous outer reef. 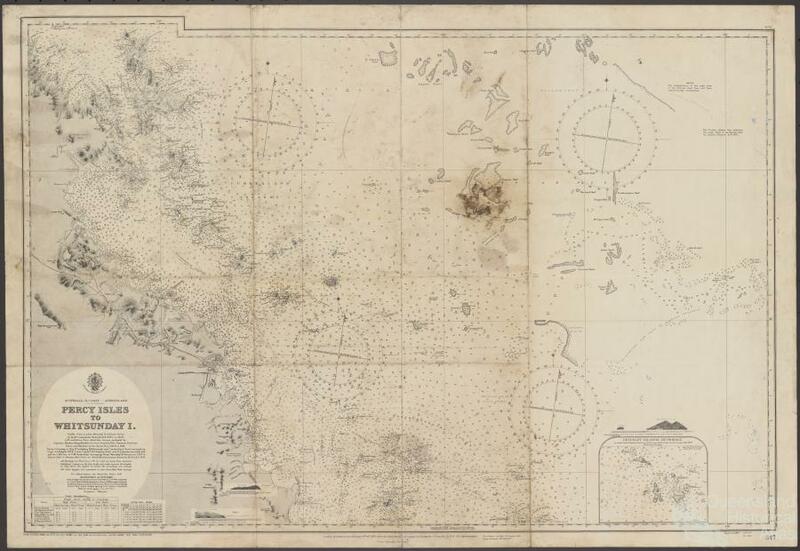 The islands were simultaneously navigational hazard and navigational aid. Cook climbed to the peaks of continental islands to gain a bird’s eye view from which to determine a safe passage through to the open seas. And for those who followed, islands remain critical markers for safe navigation. The number and density of islands, particularly the myriad of isles that comprise the Great Barrier Reef, are unique in Australia. Many people have lost their lives through shipwreck and isolation. 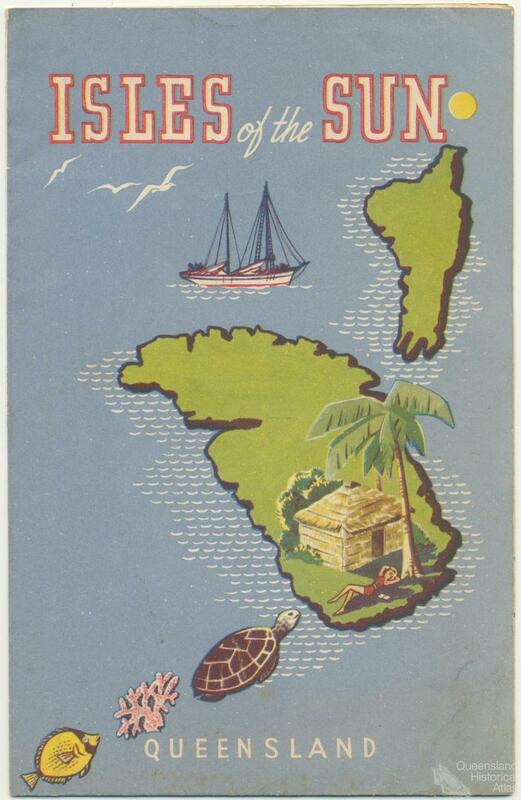 And while tourists of the 1920s and 1930s revelled in the discoveries offered by numerous islands, the same intricacy posed a threat to transport, economies and defence. The apparently endless emergence of unchartered islands, shoals and cays challenged early colonial government efforts to secure a major shipping route. The succession of official surveys is manifest in a crowd of navigational beacons and lighthouses along the Queensland coast. But comprehensive charts of the region remained elusive. During World War II, it was feared that Japanese enemies might have more accurate knowledge of the Great Barrier Reef waters than Australian and British officials. The Japanese are now welcomed by the tourism industry, making up a sizeable proportion of the two million international visitors to Reef islands each year. Tourism is a global phenomenon – it is everywhere. But there are locations where tourism is more marked, more intense. Queensland is a distinctly tourist landscape in Australia. Interstate and international tourists flock to Queensland and Queensland responds with purpose built facilities and regional infrastructure exclusively for visitors. The coastal strip and the Great Barrier Reef in particular, have iconic appeal. Along the Queensland coast islands are enjoyed through luxury hotels, ecotourism ventures, and traditional camping holidays. Far from capital cities or major towns, many Queensland islands have developed into tourism destinations in their own right. While the extraordinary underwater life of the Great Barrier Reef is a celebrated part of tourist development, for some visitors the island experience is equally, if not more, important. Queensland island resorts are constructed for a global market, including Australians who dream of being elsewhere. 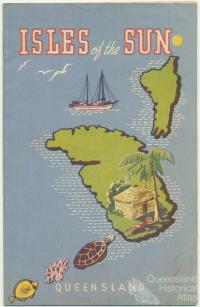 Its tropical islands are celebrated, enjoyed and renowned as part a discourse and imagining of paradise on earth. While other states and territories may be home to offshore islands, in Queensland tropical island imagery extends to popular perceptions of the State as a land of sunshine and plenty.